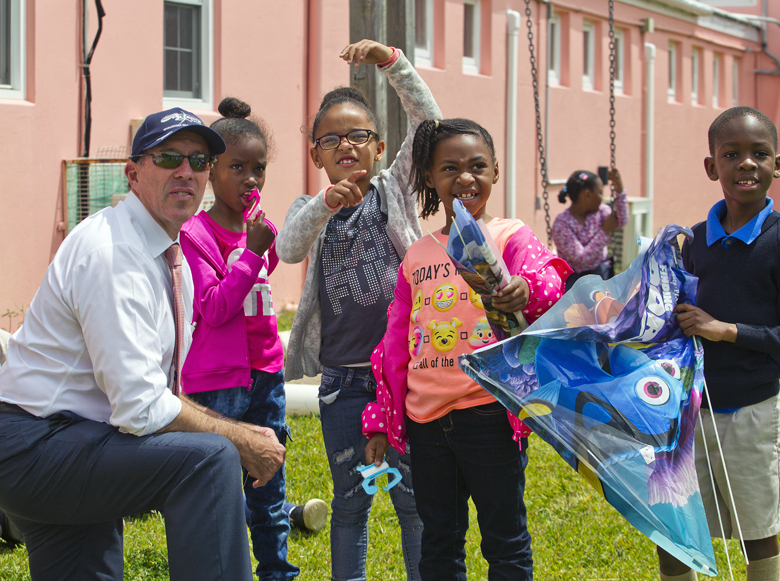 Premier Michael Dunkley had some Good Friday fun earlier today [April 13] when he joined students at Elliot Primary for their annual kite day. 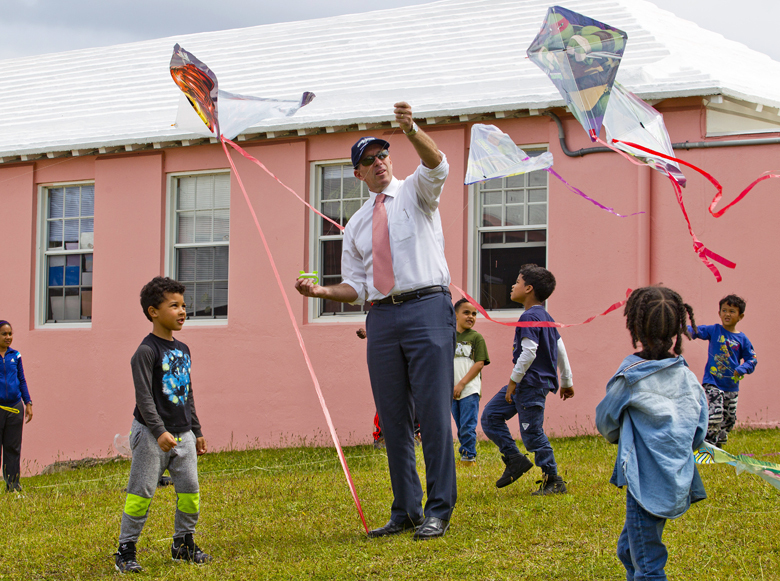 At the invitation of Elliot Primary’s P2 teacher, Beverley Taylor, Premier Dunkley stopped by the school this afternoon, and took time to prepare the childrens’ kites for flying as well as helped in getting a few kites airborne. 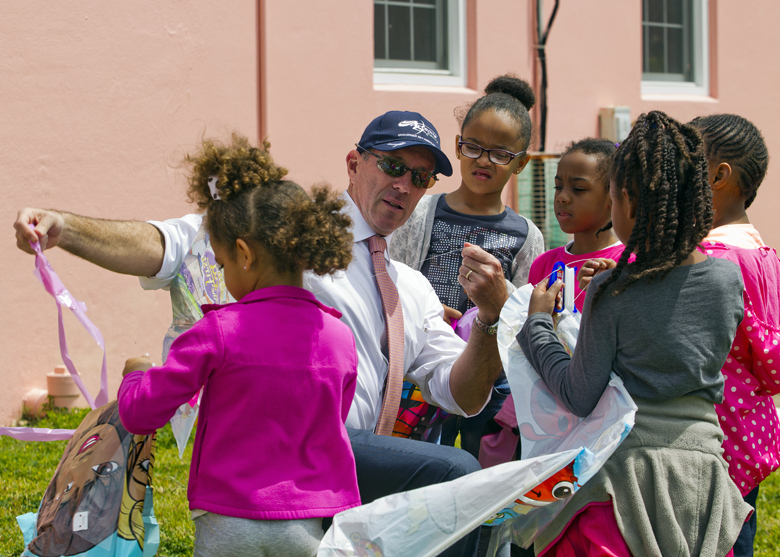 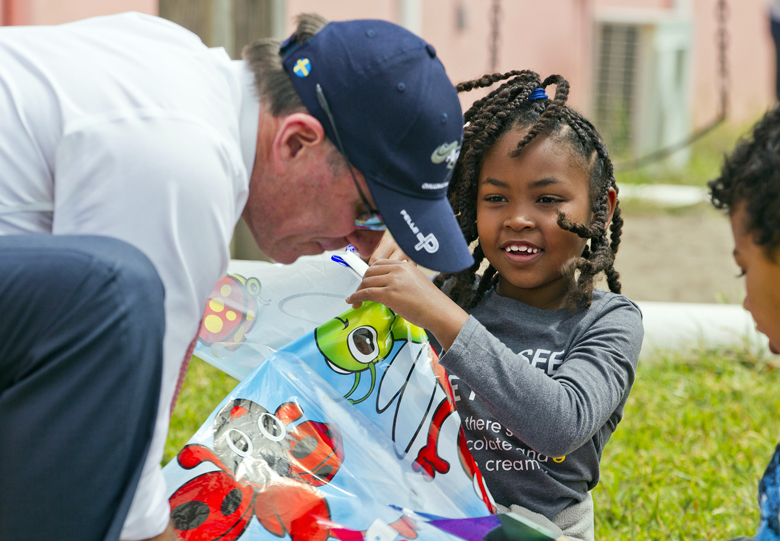 The Premier said he “absolutely enjoyed spending time with the P2 youngsters,” noting that Good Friday was one of the highlights of the year for Bermuda, as it provides an opportunity for “us to embrace our unique traditions and culture associated with the holiday”. 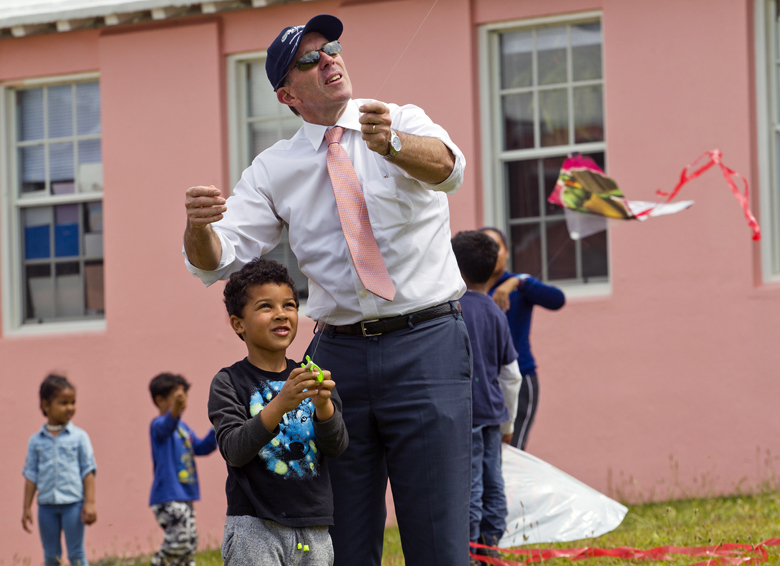 Premier Michael Dunkley took time to fly a few kites today with Elliot Primary’s students.